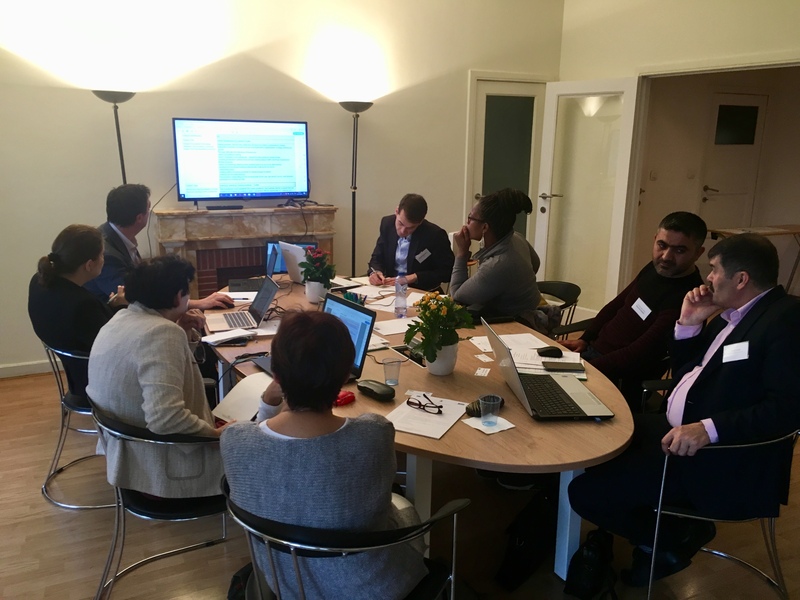 6 partners from 6 countries were hosted by IHF asbl in Brussels on 28 November 2018 during the Kick-Off meeting of the SLIDE project “SchooL Internationalization & DEvelopment”, KA2 Strategic partnerships for school education. The SLIDE Project aims to take advantage of the opportunities represented by internationalization and digitalisation, incorporating creativity into everyday practice and helping schools develop skills in their staff members, visionary leadership skills for their managers specific problems for a disadvantaged student, school dropout and reduction of disparities in learning courses (public schools, schools included or simply less experienced in the use of internationalization and potential for digitization). IHF brings in SLIDE its expertise and experience as a key social player in international and European projects. In particular, IHF ensures the “European Dimension” of the project as it carries out all the technical tasks from a “European Perspective”, i.e. carrying out analysis of relevant EU policies, trends and initiatives; extrapolating EU relevant case studies, lessons learned and best-practices. More importantly, IHF asbl will represent EIDE in Brussels towards EU Stakeholders (EU-relevant associations and actors), EU Policy makers and institutions. IHF guarantees a presence of the project in Brussels also from a dissemination and exploitation perspective, ensuring that project activities and outputs are properly showcased in the most relevant EU settings.